Nashville, Tenn. — Denver. Asbury Park. Dallas. Atlanta. Tampa. Green Bay. Perdido Key. Austin. Foxboro. 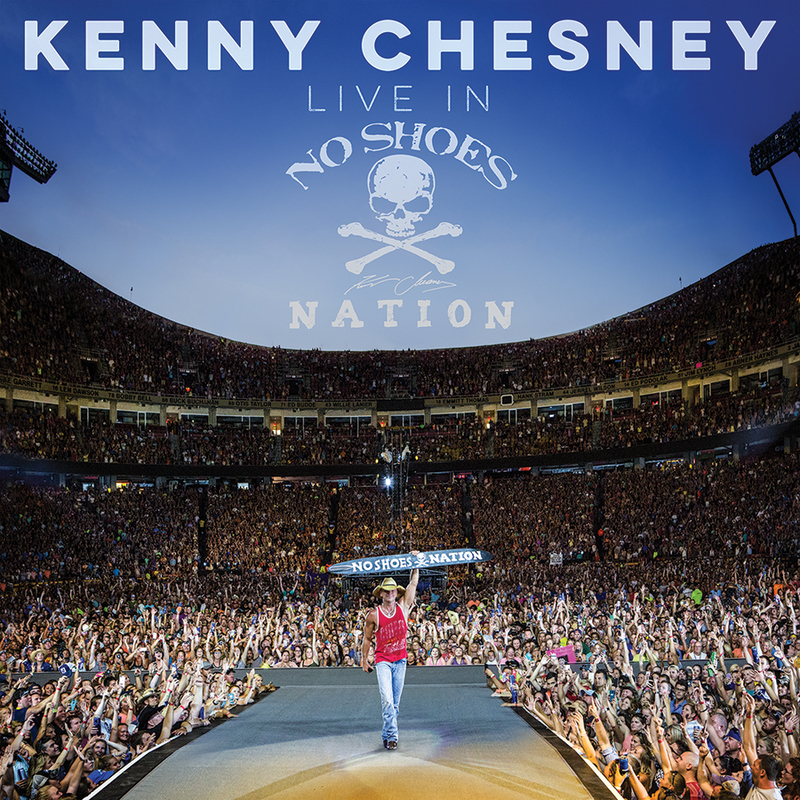 Just some of the places and voices that populate Live in No Shoes Nation, Kenny Chesney’s second live album – and one that documents his rise as the nation’s leading stadium headliner. Beyond the massive stadium shows, LiNSN is laced with intimate performances, special guests and songs that have only been performed a handful of times. Starting with the medley of Steve Miller’s “Space Cowboy” and Bob Marley’s “Three Little Birds” with Dave Matthews at the final show of 2007’s Flip Flop Summer, Chesney has patched a collection that traces the hits, the album cuts and the friendships he’s built over the past few years. Whether it’s playing “Flora-Bama” to a packed beach on the Alabama/Florida state line or the hushed one-time only “I’m Alive” from a sold-out, three night stand at Red Rocks, the collection shows the breadth, reach and intimacy Chesney has created on his way to being the only Country Artist on Billboard’s Top 10 Touring Acts of the Last 25 Years.